Are You Fit Enough To Be A Musician? Whether you are a university music major, professional musician or amateur musician, you need to be fit enough to play your instrument. If you are spending 20 minutes, 60 minutes, or even 3+ hours practising music, you are likely to run into problems. Forward head posture, strained wrists, a sore back and carpal tunnel syndrome are just some of the regular complaints of musicians of all instruments. On top of these ailments, wind musicians must have excellent abdominal endurance – that is, strong core muscles. When I was studying music at university, no one told me to work on my posture. To the untrained eye, it looked OK. Since I was studying practical music (as opposed to music therapy, or classroom teaching) all the emphasis was on playing… lots! But if anyone had actually taken the time to have a look at my posture, they may have been able to prevent the disaster before my final recital. The day before my final recital – as in, the big one, the important assessment, the recital that was open to the public and I had invited my friends and family along – I woke up and could not move my right arm! After years of intensive practise, not knowing anything was wrong, all of a sudden my body gave out and would not work. I rushed to the doctor to get some anti-inflammatories, and I was able to move enough to get through my recital. I still had one more short practical exam to get through and the pain got so bad that I had to go to the doctor again for some pain killers. So there I was in my last exam, which was quite short, but full of technical orchestral excerpts, and I was completely doped up on pain killers, having almost no feeling so I could barely tell if I was even hitting the keys correctly. Luckily I passed and I was done with university! I was fortunate, as only two of my exams were affected. But several of my friends had to take months off practical work. I knew at least one person who had to take a whole semester off practise because he was in that much pain. Luckily, my body just held out for the duration of my degree, but I did take 6 months off solid practise as soon as my final exams were done. I took the time to learn how my body should have been moving, and how to play the flute pain-free. There are many stretches you can do to alleviate the sore muscles and strains you may get from spending hours practising. Stretching isn’t all you should do though. It is absolutely vital to strengthen your weaker muscles so that you don’t continue to teach your body poor posture. For example, if you suffer forward head posture from bringing your head to the instrument and reading from the music stand, you will need to stretch your neck, traps and shoulders. As well as that, you will need to strengthen your various back muscles (particularly the rhomboids and traps), and you will need to incorporate corrective drills into your practise so that over time your posture will improve and you will no longer suffer these issues. 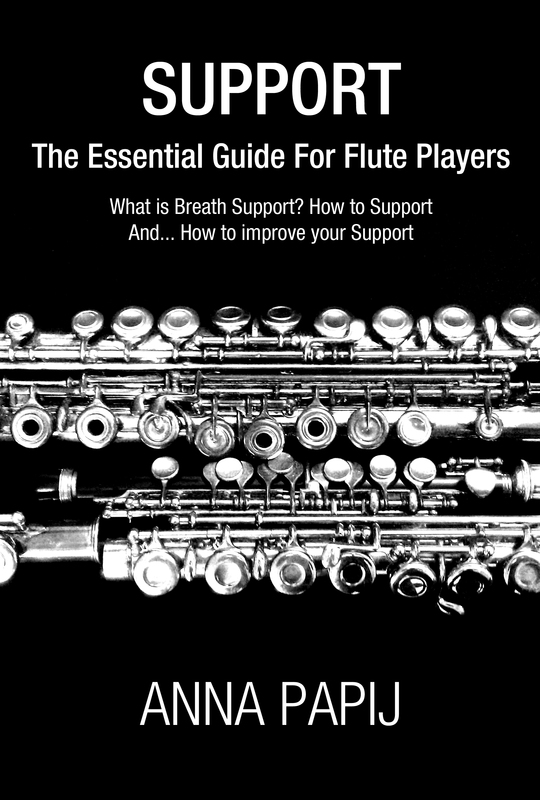 Wind musicians often talk about the need for “support”. This is such a misused word, and in fact, most students and teachers don’t even understand it themselves. Really, it’s about actively using your abdominal muscles to push the air through the instrument. Most brass players tend to do it quite well. 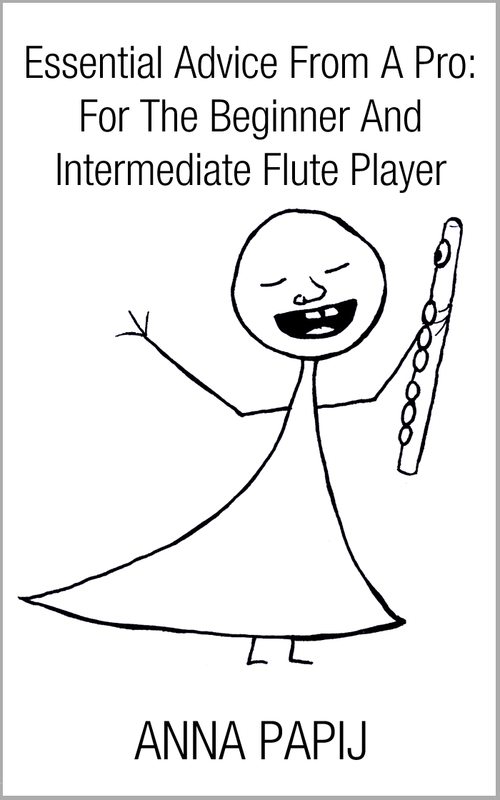 Flute players can fudge their way through without engaging their abs, but it gets to a point where their tone is just not good enough and they need to activate their abs. Some people simply do not know how to do this and need instruction on it. 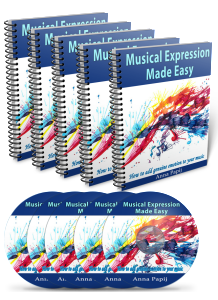 There are so many physical aspects to playing a musical instrument. I am a qualified personal trainer and know how the body should move. I can teach you in person or online how to ease your strains from repetitive practise and how to actively engage your core muscles to produce that brilliant strong tone every time.